There’s more to selecting a project team than: it just feels right! Trust us to help you make the right choice. Let our experience protect your interests. We’ll give you the goods, and what’s more, you’ll be able to understand them. Are you concerned your meetings are getting out of hand? Let us safeguard your vision until it becomes a reality. Do you have a question about something? Site specific artwork requires the happy convergence of many factors. 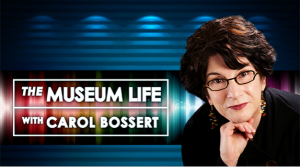 Listen to Barbara Punt’s interview on “The Museum Life” for Voice America satellite radio, as she explores the relationship between RFPs and other aspects of project management that make the difference between a project that one simply lives through and one that honors the humanity of all the participants. As she states in the interview, “Nobody gets up in the morning saying ‘I can’t wait to be adversarial today.’ “ Learn more about how to manage projects calmly and effectively in today’s business climate. Get your project one day closer to completion. Contact us today to get started. © 2019 Punt Consulting Inc. All Rights Reserved.